According to the medical staff report, Miguel Angel Lopez Moreno has suffered a fracture in lateral tibial plateau extended to medial plateau, left knee. After the first exams (x-ray and magnetic resonance), the doctors prefer to wait a few days (until the edema will be smaller) to do a 3D CAT and then to decide if Lopez will need or not to be operated. Updates on his health conditions will follow. 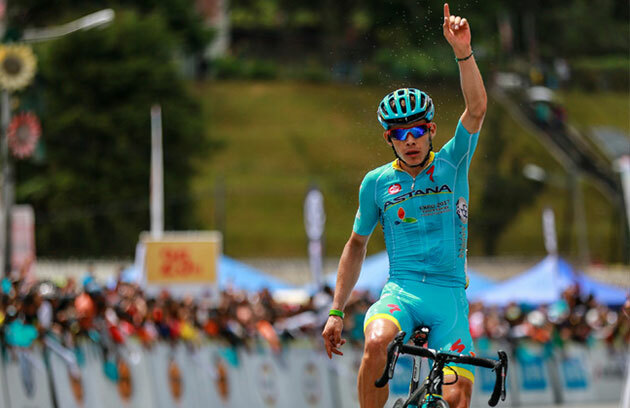 In case medical surgery won’t be necessary and according to the updated Team’s programs, the Colombian young talent should be back to competitions on late April at the Tour of Turkey. In 2017, the team heralds the formation of a roster that will challenge the best in the world. Returning riders and key new hires will bring together international experience and youthful enthusiasm to compete in the US and abroad. Hall had a standout year in 2016. A stage win, the Mountains Jersey and the General Classification win in Argentina at the Tour Femenino de San Luis opened her calendar. She followed this with a second place finish on stage one of the Tour of the Gila, and then went on to take the Mountains Classification win at the prestigious Tour of Britain. Returning alongside Katie Hall, the UnitedHealthcare Pro Cycling team will tap into the talents of Rushlee Buchanan and Diana Peñuela. Buchanan returned from the Rio Olympics with a fourth place finish in the Team Pursuit for her home country of New Zealand and rode the 2016 season on the road as a triple New Zealand national champion (criterium, road race and time trial). Diana Penuela was an integral part of the infamous blue trail lead out in 2016 and the Colombian will be a key asset in bunch sprints in 2017. Time trial powerhouse Tayler Wiles and veteran all-arounder Lauren Hall are two key new hires, bringing world-class strength and experience to the team. Wiles, joining the UnitedHealthcare Pro Cycling Team from Orica-AIS, is widely recognized as one of the top time-trialists in the world. 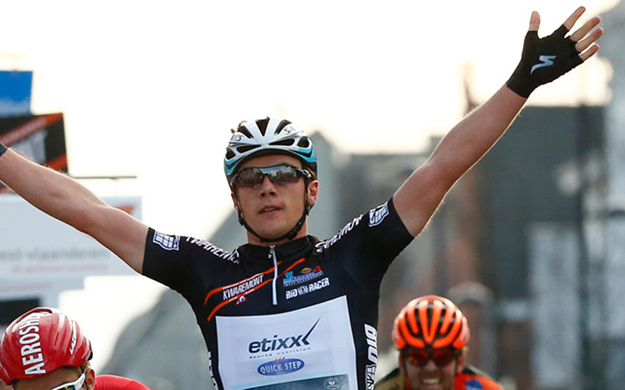 While racing internationally over the past four years, Wiles amassed an impressive palmares. In 2016, success came for Wiles at the Energiewacht Tour, where she placed third in the individual time trial. She followed that with podiums on stages of the Tour de Feminin in the Czech Republic and La Route de France. Lauren Hall comes to the team from Team TIBCO-SVB. The experienced American has spent the last three years racing a mixed calendar of the biggest American races alongside select international events. Similar to the calendar she expects to race with the UnitedHealthcare Pro Cycling team, this experience will give Lauren Hall a distinct advantage. A one-day race specialist, Hall is known for a fiery finishing kick, and an ability to make the select groups that often form at the end of long races. In 2016, Lauren Hall found success at the USA Cycling National Championship Road Race, where she sprinted to 5th place. Ruth Winder returns to the UnitedHealthcare Pro Cycling Team in 2017 after taking a year away from the road to focus on track racing. Her year away paid off as she formed a vital part of Team USA’s performance in the Team Pursuit at the Rio Olympic games. Winder is looking forward to dedicating her strength and power to the lead out train for her teammates. Kate Sherwin raced criteriums and stage races in the United States in 2016 for the Happy Tooth Dental, but also guest-rode for the UnitedHealthcare Pro Cycling Team at the North Star Grand Prix. Sherwin was a natural fit, working hard towards the team’s successes at North Star in Minnesota. She will be a key component in the lead out train, and also likely find herself breakaways where she has already proven she can hold her own. The team is proud to welcome back Shawn Morelli in 2017, after she had a superb year. Utilizing the UnitedHealthcare Team to hone her speed in the run-up to the Paralympic Games, Morelli returned victorious from Rio with two gold medals and a Paralympic Record to her name. She will balance her Paralympic racing calendar with select events on the UnitedHealthcare Pro Cycling Team’s schedule. Heal is quietly optimistic that the new roster will find success, “Our ultimate goal is to maximize our potential in every race.” The team’s calendar will highlight the best UCI-level racing in the United States and around the world. Stage races will be a priority, especially those that mesh with the team’s dual goals of winning races and representing the partnering organizations that sponsor the team. In raising over $50,000 for the UnitedHealthcare Children’s Foundation in 2016, the team positively impact and inspire the communities they visit. The UnitedHealthcare Pro Cycling Team is proud of this success, and looks forward to 2017 as an opportunity to continue this mission. In January, we kicked-off a season-long series focused on unknown things about our riders. Very likely, everybody is aware how the Etixx – Quick-Step riders came into the sport or what are their biggest results to date, but few or none know what movies and music they enjoy, or where they like to spend their holidays. Here's your chance to find out all these. Favourite movies: I'm very much into films that mix history with fiction without stretching it too much and losing the plot. "Monuments Men" and "The Da Vinci Code" are two of these movies, both telling an important and fascinating story which leaves you with a desire to know more about it. Favourite TV series: Since the first episode I've seen of the "The Big Bang Theory", I found it to be a very funny show, which I had hoped to go on for years, and fortunately it did. The way it's packed – great characters, witty jokes and cultural references – got me hooked and brought countless laughs ever since. Favourite video games: FIFA, but just from time to time. I don't even start a domestic or European season, I just like to play a few matches to take my mind off things. Favourite food: I never say no to mashed potatoes with meatballs made by my mother. Delicious! Favourite holiday: Spectacular volcanoes, beautiful fjords and the Aurora Borealis, all these make of the Nordic countries my ideal destination for some off time. Once you see that part of the world, there's no way you won't fall in love with it.